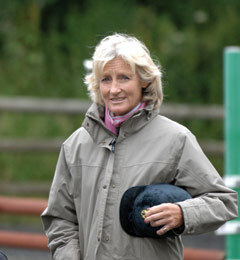 Born in Hampshire, Lucinda Green (née Prior Palmer) began riding when she was just four years old but didn’t own her own horse until the age of 15, when she was given Be Fair for her birthday. Lucinda and Be Fair worked their way up through the eventing grades, before going to the 1973 Olympics and winning Badminton some seven years later. This was only the beginning of Lucinda‘s success, as she went on to claim a number of gold and silver medals and two European Championships. In 1977 Lucinda scored a hat trick, coming first at Badminton, Burghley and the European Championships. She is the only rider to have won Badminton six times, on six different horses: Be Fair (1973), Wideawake (1976), George (1977), Killaire (1979), Regal Realm (1983) and Beagle Bay (1984). Lucinda has won the Tony Collins Trophy, awarded to the rider with the most British Eventing points in an eventing season, a record seven times and in 2008 won the outstanding contribution to equestrianism award. While she still competes, Lucinda is now also well known as an equestrian journalist, team selector, commentator and trainer. She is passionate about cross-country safety and runs a series of cross-country clinics each spring, called ‘Cross-country, the safe way’ in association with Petplan Equine. Lucinda also has an infrequent series in Horse & Hound, ‘Lucinda rides’, in which she assesses top horses from across the disciplines. The fact that riders and owners allow her to ride these elite equine athletes demonstrates the high regard in which she is held by her peers. Lucinda has two children: Fred, born May 1985, and Lissa, born February 1989. She was married to David Green from 1981 to 1992. Lissa Green is following in her mother’s footsteps as a professional event rider. Are these Badminton's hairiest fences ever?